The pendant on this necklace is from store-bought jewelry that we took apart. We used the small olive shaped paper bead and used the rosary loop technique (please refer to an earlier post) to connect them. 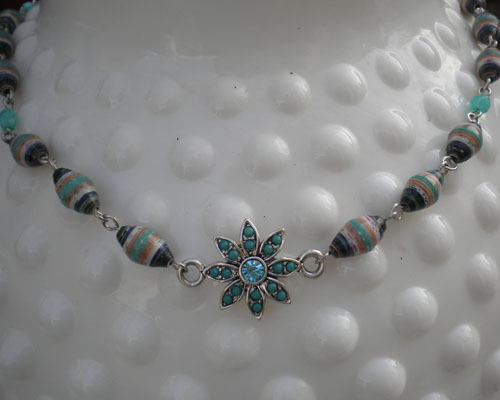 This is part of our summer collection that we are working on, perfect for those lazy days….. We have found olive shaped paper beads that’s a perfect match for this blue crystal flower pendant. 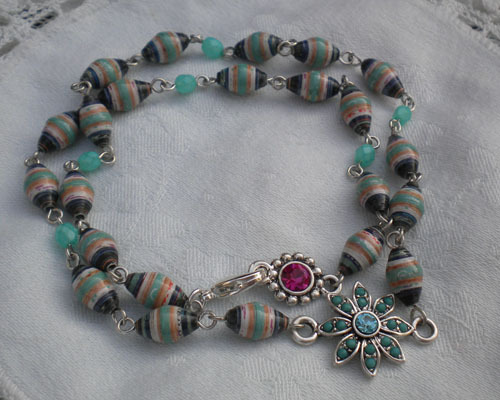 This flower pendant is part of this bracelet, we thought it would be fun to use the links on this bracelet to make paper bead jewelry. We have actually made 4 pieces of jewelry from this bracelet. 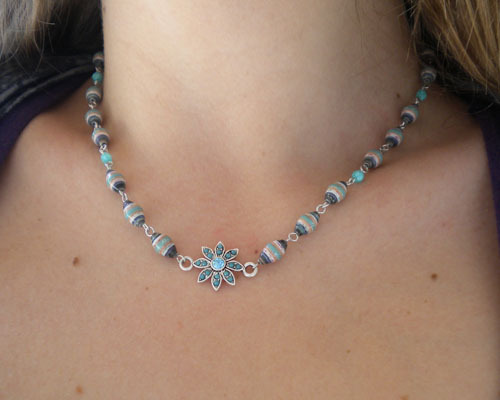 We have matched it with paper beads with complementing color. The fuschia colored crystal, we put it in the back where the clasp is, so that it’s pretty front and back of the necklace. 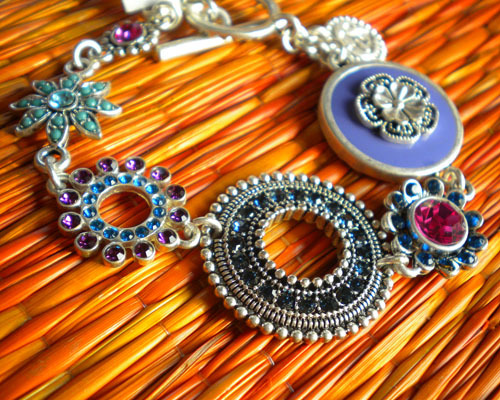 If you have some jewelry you no longer wear, you can do a “make-over” with it like this one.